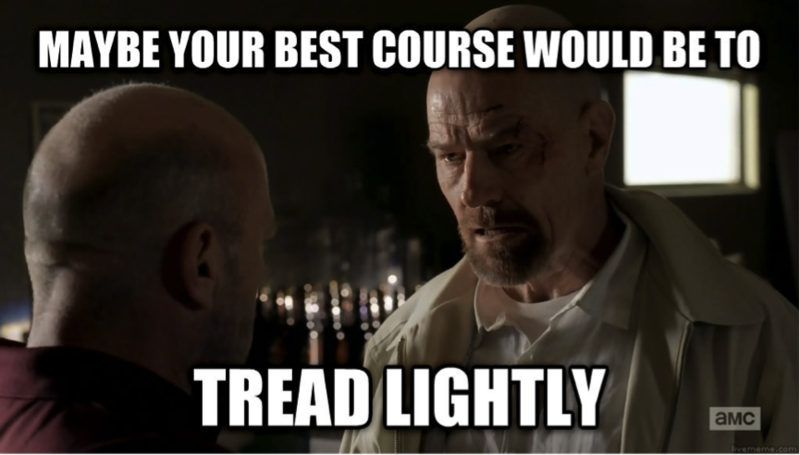 When it comes to Russell Brand, the Green party’s best course would be to tread lightly. 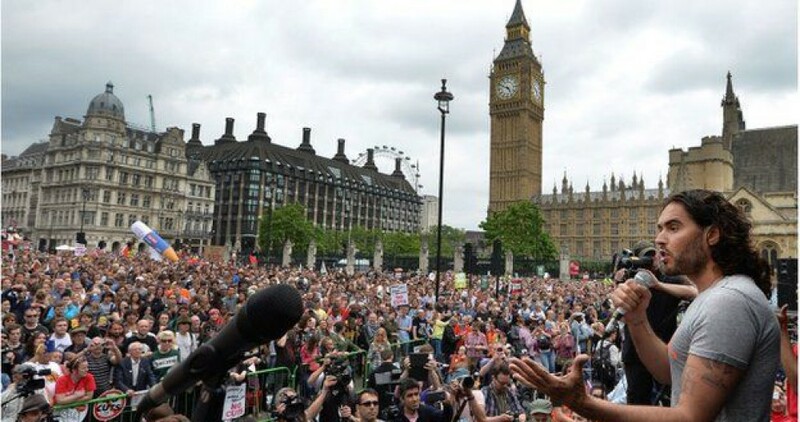 2014 saw growing support for the Green party, and with it complaints that they do not get enough media attention. As for Russell Brand, you’re more likely to see complaints that he gets too much. Recent pieces encouraging Brand to vote and campaign for the Green party have coincided with dismissive comments from their leader, Natalie Bennett. Bennett says that the Greens are focused on ‘serious politics’, and don’t need a big personality like ‘hair flicking’ Russell Brand. Now, I’m not saying that ol’ Russ should join the Green party, stand in the general election, overthrow Nat Ben as leader and lead a mini parliamentary revolution. Bennett isn’t the only politician criticising Brand’s statements on voting, I’ve seen one already this year. Whilst I really don’t think Brand is responsible for leading a generation of potential young voters astray (low turnout amongst young people was an issue back while Brand was still being Big Brother’s Big Mouth), I can see why Labour and Green politicians would worry – clearly no potential Tories are going to be dissuaded from voting by watching the Trews (Brand’s YouTube series). There are other reasons to be nervous about embracing Brand as a campaigning tool. Deserved or not, he attracts negative media coverage (and if you’re The Sun, comparisons to Brussels sprouts). He’s unpredictable and, as he’s the first to admit, often volatile when faced with unwelcome questions and criticism. Also while he says he’s trying to stop being sexist, he definitely hasn’t got there yet. But if the Greens don’t need Brand, he really doesn’t need them. It irks me when, as happened on Question Time, people argue that if he really cared he’d stand for election to parliament. I thought we’d moved beyond such a narrow view of participation – this sounds to me like a veiled way of saying that if you don’t fit within the political mainstream you should put up and shut up. Yes, Brand is volatile and unsurprisingly for a performer works best when he has control over his own message, such as in his regular (and often really good) Trews episodes. Is the place for someone like him really a political party? Think of those celebrities who endorsed the Liberal Democrats in 2010, only to put their hands in their pockets and walk away shaking their heads once the coalition was formed. Granted it’s very unlikely that the Greens will find themselves part of a coalition government from May, but this demonstrates the potential problems that come from publicly backing a party. Not only are there big similarities of opinion, but in spite of having never voted for them Brand is often complimentary of the Green party, particularly of Caroline Lucas who he’s supported over drug reform and appeared with at anti-austerity events. A picture of Brand with Lucas on her Facebook page, with a very positive quote from him, got way more likes and shares than her page usually sees (though praise from Brian May was popular too). Yes Russell Brand is a comedian and says he wants everything he does to be entertaining, but to dismiss as not ‘serious politics’ someone who regularly brings the Green party’s ideas to a larger audience might not be the best idea. Brand’s ‘support from a distance’ could be useful. The challenge for Green supporters who are also fans of Brand/the Trews is to make others aware that they may also want to vote Green, without Brand becoming so associated with the party that his controversy becomes theirs. So even if Natalie Bennett doesn’t want to fully embrace Brandland and appear on the Trews in a ‘Reloveution’ T-shirt with a blanket on her head (though I would watch that), it might still be a good idea not to burn any bridges. 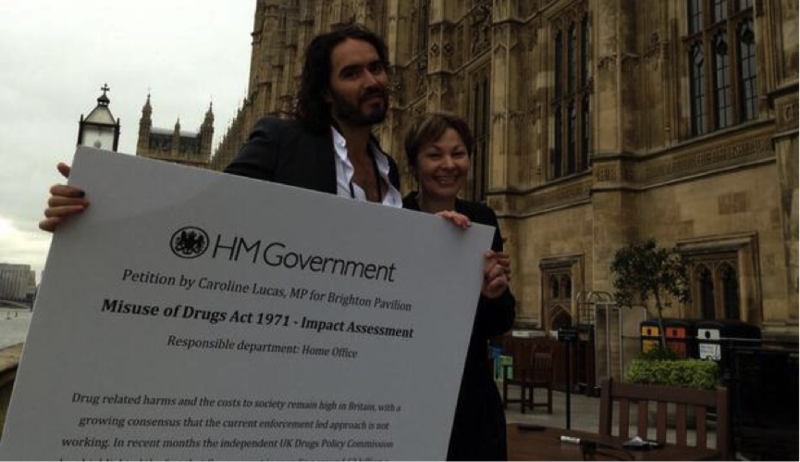 When it comes to Russell Brand the Greens should, at the very least, tread lightly. This entry was posted in Celebrity Politics, Russell Brand and tagged Green Party, Russell Brand by ellenwatts11. Bookmark the permalink.